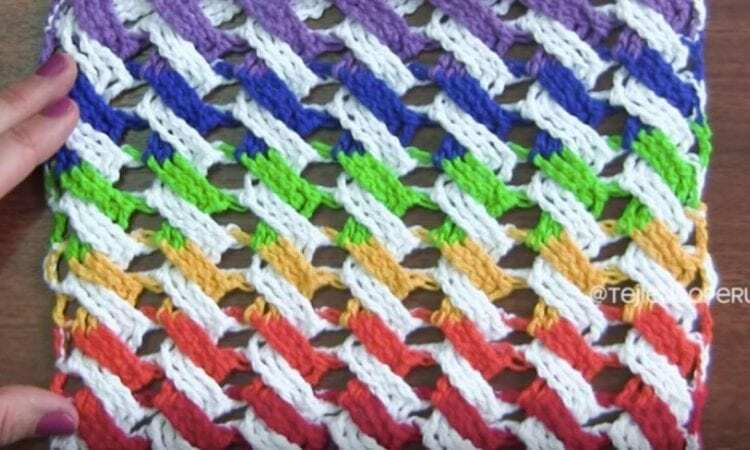 Here is a neat use of the cable stitch to make a mesh-like repeating pattern that would be useful for making afghan squares, trivets, potholders or placemats. The multi-colored diagonals interspersed with white ones makes for an attractive and modern looking end product. While still easy, the advanced beginner should find just the right amount of challenge to up their game and practice working on a piece that’s a little more intricate. A link the free pattern is at the end of the post.